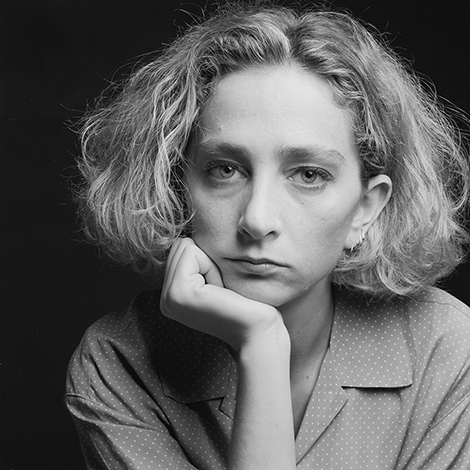 I met Gili Patir in the offices of the Hadashot newspaper.Gili was at university, majoring in Middle East studies, and working nights developing films in the newspaper’s lab to earn a living.In 1992 I ran into her after she had been away from work for some time. She invited herself to my studio for a chat. “I’ve got cancer,” she said without preamble. 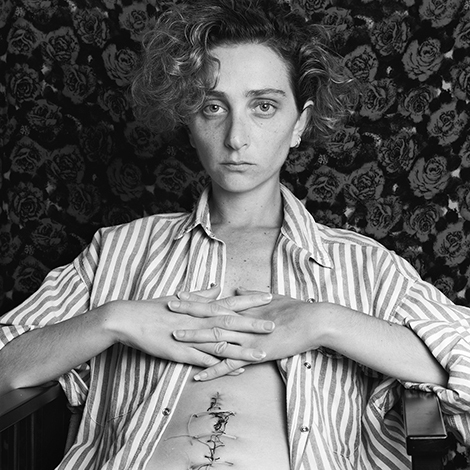 “I underwent a very difficult operation and I’m fine now, and I want you to photograph me starting now and up to the end.”She said, “I want you to document what happens to me, the changes my body goes through. I’ll invite myself to your studio, and when it’s too difficult for me you’ll come to me.” She said, “I want you to publish these photographs after my death. 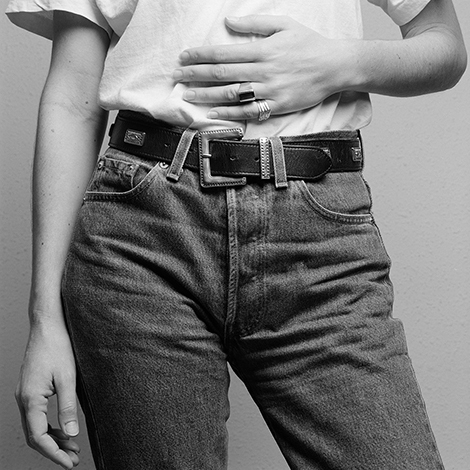 It’s important to me that people know what this disease looks like and how you can live with it, despite everything.”That same day I made my first photographs in the series of Gili.From then, and for the next five years, Gili came to me to be photographed whenever she felt the need. There were times when she called me to take her picture in the hospital, and times when she summoned me to her home.Gili was well aware of how photogenic her scars and the signs each operation left on her body were. 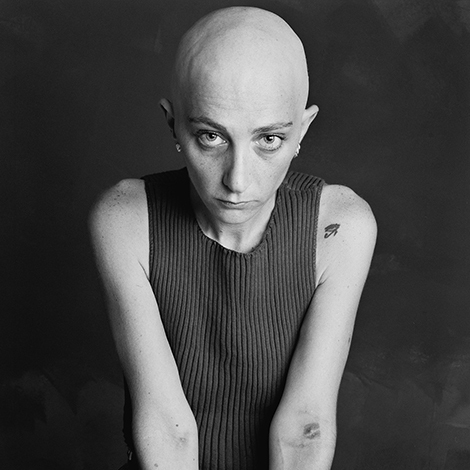 She would call and say, “We’ve got to meet, I have this amazing new scar.” Or “Let’s do a shoot, I’m completely bald.”After several years, as the disease grew stronger, Gili stayed home for a long period of time, closing herself off from the world and refusing to see anyone but her family. Much later it turned out that her final operation had been extremely difficult and her body was unable to recover.During that period, she planned her departure from life. It was important to her to do it in her own way. She invited her friends and loved ones, from Israel and abroad, to a farewell ceremony that lasted two weeks, lying in her bed and receiving guests one at a time. She hugged them and kissed them, gave instructions, handed out inheritances, ordered in gourmet food. She enjoyed every bite even though her body was no longer able to digest.This farewell journey was a kind of exaltation.Before she took leave of her loved ones, Gili summoned me and asked that I not forget our project. So as not to leave things undone and in order to validate the agreement made between us, she asked her parents, Dan and Yael, to join us in the room. 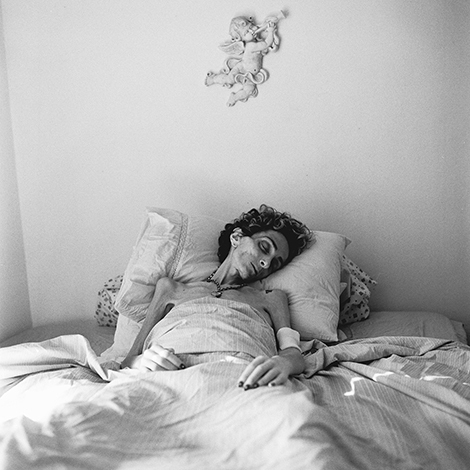 With all three sides represented, Gili Patir dictated a contract to her father in which she obliged those present to fulfill her wish after her death.The final photograph was made, according to her wishes, on June 20, 1996 shortly after her death .This exhibition is Gili Patir’s testament.